Taking kids to the dentist can be a harrowing experience for both children and their parents. The sterile environment, bright lights, and metal instruments can be intimidating, as can an unknown adult poking around in their mouth. 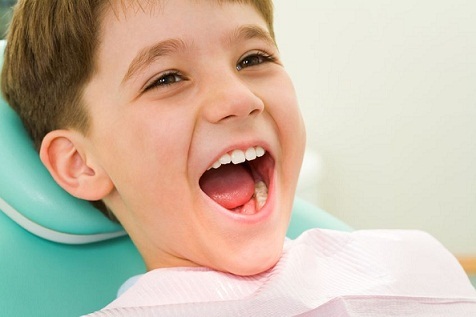 But if you don’t want your kids to be traumatized by their first visit to the dentist, considering they’ll have to sit through successive visits annually, there are steps you can take to ensure that your children are comfortable with the process and that they aren’t afraid. This will make your pediatric dental visits easier for you, your kids, and the dentist. Here are just a few ways to plan for a successful outcome when it’s time to start taking your children to the dentist. Comparison shop. Like any other goods or services you might pay for, the onus is on you to find the best pediatric dentist for the money. You may be restricted by providers within your insurance network, but you likely have several options when it comes to finding appropriate dentists within your area. So take the time to shop around. Ask other parents who they visit and who they avoid. Read online reviews. And when you’ve narrowed your list of prospective pediatric dentists, pay them a visit to see what their offices look like and get an idea of how they operate, so to speak. Plan a consultation. It’s not enough to visit a dental office on your own – you need to take your kids into the office in order to get them comfortable with the environment and the people. So once you’ve selected an office that is designed to put your kids at ease and a dentist that you feel confident taking them to visit, it’s probably a good idea to schedule a consultation for your children to meet the dentist and tour the office before they go for their first cleaning. This is the best way to make your kids feel comfortable and relaxed. Prep kids for the procedure. While most children love to learn new things, they don’t tend to be big fans of the unknown. But it is completely within your power to prepare your kids for what is to come when they visit the dentist. You can tell them what to expect, and if your dentist is willing, you can even show them the equipment and walk through the procedures beforehand. When they understand what to expect you’ll forego the tears and fears that might otherwise surface. Bring a favorite toy. If your kids are attached to a particular blanket, stuffed animal, or other toy, make sure they bring along their comfort item of choice when they visit the dentist. This will help them to fight anxiety and remain calm throughout the procedure. Stay positive. When you plan for your first toddler dental visit, it’s only natural that you would be nervous about how your child might react. But your anxiety can easily get picked up by your sensitive kids. So stay positive throughout and treat the whole affair like it’s no big deal. A good dentist and staff like those at Willis Dental can do a lot to make your kids comfortable, but your children will follow your lead, so a positive attitude is important.